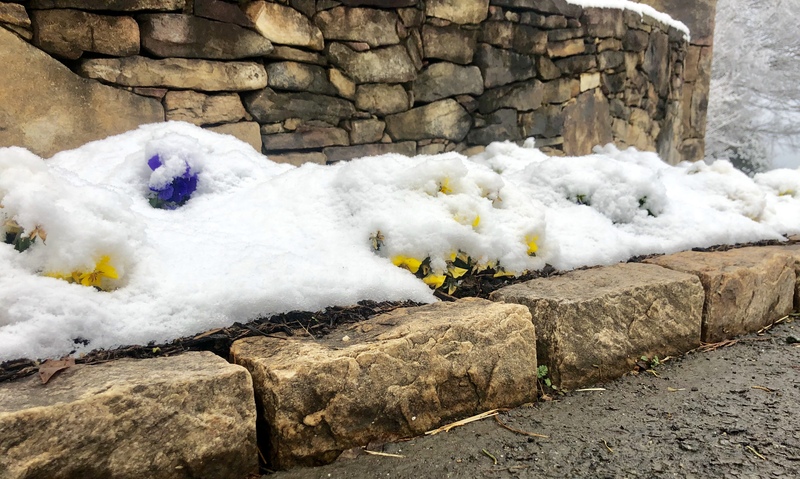 Who says you can’t have flowers in the landscape in Nelson County Winter?! 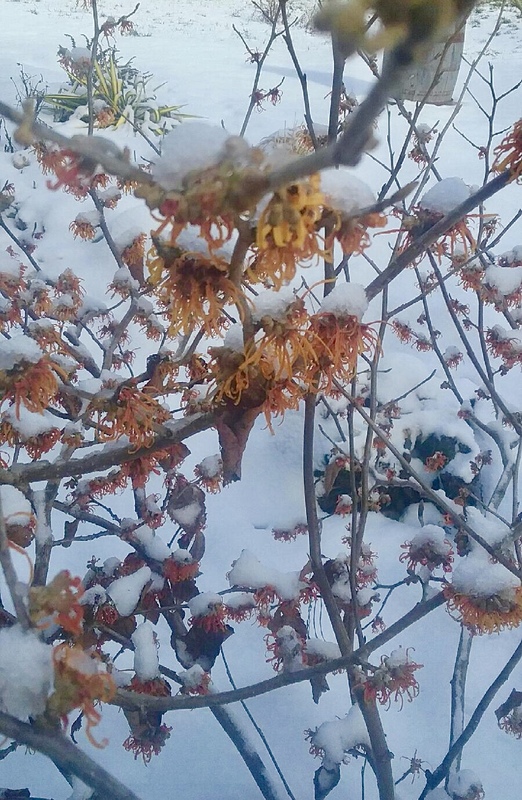 A beautiful Witch Hazel can bring a winter surprise to your yard. The Jalena Witch Hazel, pictured brings a whisper of Spring with its blossoms in the midst of Winter. There are several species available that bloom at staggered times, some of which are fragrant. This underused plant is a prime candidate for a small semi shaded spot in your yard. Or how about some sweet winter annuals, Violas (similar to Pansies) will cheerfully hold a place in your yard from October to mid May? The ones in the picture are right here at the entrance of Windridge Landscaping in Nelson County and were grown by Saunders Brothers Nursery in Piney River. 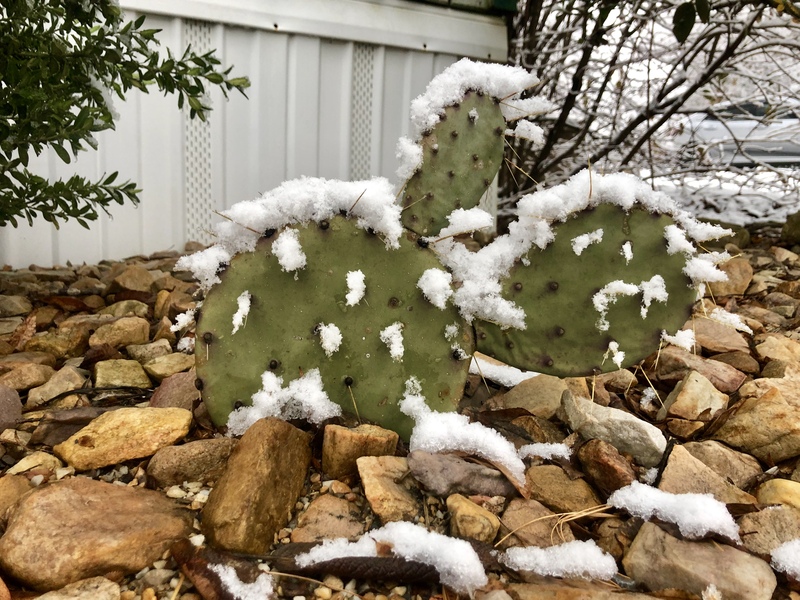 Last but not least, our native Cold Hardy Cactus holds its place in a Xeriscape rock bed. This small succulent Prickly Pear lends a unique texture to its bed and challenges us to reconsider our definition of the ‘traditional evergreen’ plant.